On September 8, 2017, Eagle Rock will release the final three titles in The Frank Sinatra Collection on DVD and digital formats: The Royal Festival Hall (1962) & Live At Carnegie Hall (1980), Live From Caesars Palace (1978) & The First 40 Years (1979) and Portrait Of An Album (1984) & Sinatra Sings. Portrait Of An Album (1984) & Sinatra Sings combines the film Portrait Of An Album with the compilation program Sinatra Sings. Portrait Of An Album follows Sinatra as he records his album L.A. Is My Lady with producer Quincy Jones, who also conducts the sessions. 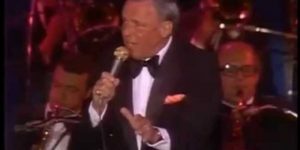 There are full performances, caught live in the studio, along with interviews from Quincy Jones, Lionel Hampton, lyricists Alan and Marilyn Bergman and engineer Phil Ramone. Also captured is Michael Jackson’s visit to the studio to meet Sinatra. 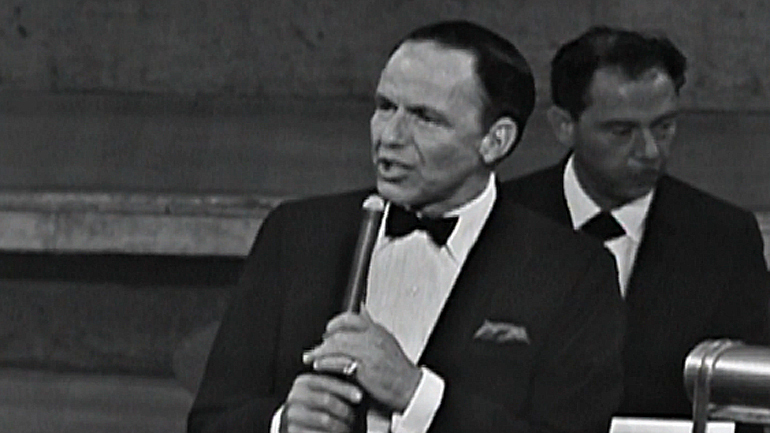 Narrated by Tina Sinatra, the Sinatra Sings TV compilation brings together memorable moments from Sinatra’s career on television, in the studio and in concert over the decades. Many of his best loved songs are featured including “Fly Me To The Moon,” “Witchcraft,” “I’ve Got You Under My Skin,” “My Way,” “Strangers In The Night,” “That’s Life,” “The Lady Is A Tramp” and many more.